If you're lucky enough to have olive trees, you may have considered eating one of the fruits straight from the branch only to discover that there's a big difference between the olive on a tree and the olive on your plate. That's because the olives we enjoy are essentially pickles. Whether steeped in oil or a salt brine, olives only become truly edible after curing. The raw fruit is bursting with oleuropein, a bitter compound that must be removed prior to eating. Of the various methods of curing, including oil-cured, water-cured, brine-cured, (salt) dry-cured, and lye-cured, the simplest for the novice are water-curing and brine-curing (which is essentially the same process as pickling). After the olives are cured they are placed in a pickling brine. 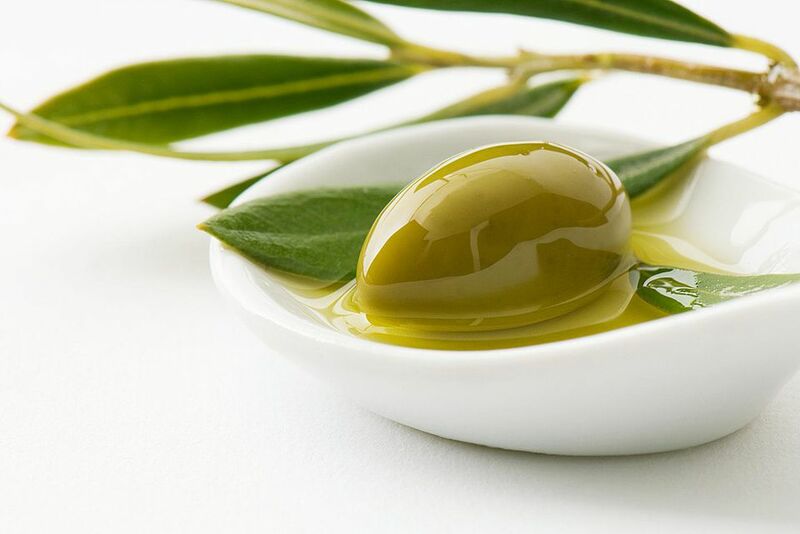 Green olives, which are young, immature olives, can be cured in water, which removes the bitter taste of the raw fruit. They will have a fresh, nutty flavor and firm texture. After a week or so of water curing, they are stored in a pickling brine, which adds a salty flavor. Brine curing is a similar process, but instead of simple water, the olives sit for a week in a salt and water solution. This method can be used with green olives as well as ripe (purple or black) ones. No matter which kind of cure you select, the brining process is similar. The longer the olive is permitted to ferment in its own brine, the less bitter and more intricate its flavor will become. Different kinds of olives benefit from different cures. Manzanillo, mission, and kalamata olives are the best varieties for brining or salt curing. Larger fruits, such as Seville olives, may need to be steeped in lye to fully cure. First, select olives that haven't been bruised or succumbed to pests, in particular, the olive fly, whose larvae burrow into the fruits. Wash the olives thoroughly. Then slice or crack the olives, depending on how you would like them to look, to allow the brine to penetrate the fruit. Take care not to cut the pit. Once you've decided between a water- or brine-cure, you are now ready to treat the olives. If using a water-cure process, place the prepared olives in a pan and cover with cold water; let sit for about a week, changing the water twice a day. Once the bitterness is gone, you are ready to place the olives in a brine. For a brine-cure, place the prepared olives in a mixture of 1 part salt to 10 parts water, making sure they're submerged, and leave for 3 to 6 weeks, changing the brine every week and shaking the pan once a day. Once the olives have been cured, they are ready to be put into the brine. Combine 1 part salt to 10 parts water and pour over the olives in a bowl or pot. Weigh them down with a plate and let sit for 1 week. Drain the olives and repeat the brining process for another week. Do this two more times so they brine for about a month or so. Green olives are usually pitted, and often stuffed with various fillings, including pimentos, almonds, anchovies, jalapenos, onions, or capers. If you would like to have pitted and/or stuffed olives, remove the pits and add the fillings at this point. Then, mix up a similar brine, adding vinegar and herbs if desired. Store the olives in the brine in a jar and refrigerate. The olives will last up to a year this way. Can You Safely Use Homemade Vinegar in Pickling?